THE PAST: The past administrations in Edo state played more part in the debate than the future of the state which was really bad. The Labour party and APGA candidates were left without answers most times because questions were being asked like –While you were there, what happened to so so and so – It is usually hard to separate these things but then, we must not allow them t be the basis for future debates. PERSONALTIES: The personalities of the top two contestants were clearly put through severe tests as questions regarding their personal issues were brought to open air. They both began the debate and got aggressive as it wore on. BEST QUESTION: After the debate, the organizers agreed to allow each contestant ask another contestant a question. Both Obaseki and Ize-Iyamu threw away the chance to ask each other what their major plans are and instead resorted to continuing their personal battles over state funds each allegedly had access to at some point. The best question of the night was asked by the Labour party candidate who asked pastor Ize-Iyamu the moral justification he had to contest after serving both previous administrations for lengthy period holding key positions. The purpose of the debate was however not met to the extent I expected. Pastor Ize-Ayamu of the PDP used any and every opportunity he had to criticize the administration of Comr. Adams Oshiomole, while Godwin Obaseki spent time trying to defend this administration, and also show some of his plans. I expected a situation where each contestant was judged based on his plans for taking the state to the future and not majorly based on something that was done in the past. I also expected a question like “would you be willing to accept the outcome of the election on Saturday and work with whoever wins to ensure we move the state to the next level?” – That was not asked. Regardless of how the election pans out, I sincerely wish the state the very best as all indications have shown that clearly, the administration of Dr Igbinedion did not lay a good foundation for the state and although no one will doubt the relative development Comr. Oshiomole has brought, there is still room for improvement this elections will only do the state more good than harm in moving forward. May the Best man WIN! Y’all need to read this Masterpiece on the NNPC issue! Quite time.. A need for all. I trust this meets you well. How has it been? Pardon me but I think the post-election periods have been a bit dull, for those of us who monitored every bit of it. In a very busy and rowdy world. it is important to create your own quiet time. Regardless of the hour of the day, you need to have that “quiet time”. Personally I must say it not as easy as said but I am also convinced that when you start and the benefits begin to surface, it will be easier. When last did you have your “quiet time” ? How often do you have a “quiet time” session? Take time out from the TV, friends, and other distractions. start with 15 to 20 mins daily. Write out your plans for the day, read your diary or journal where you have your goals written, evaluate yourself, judge yourself (it’s needed), applaud yourself, scold yourself and criticize yourself also. we all need constructive criticism. I do this a lot and it helps me stay focused amidst life and its numerous distractions. See! find sometime to put something in you. Read, listen to audio tapes, research, improve your skills, get trained, practice often, reason introspectively and see how easier things get. You can’t give out what’s not inside. See this, canons are loaded, guns are loaded, cars are filled with cannon balls, bullets and fuel respectively…. and you aren’t making conscious efforts to get yourself filled? think that through. Even race car drivers, regardless of positions take out time to change tires and service the cars.. and then they continue the race. It’s not just to change tires though, it’s also a period to strategize. Remember the story of the virgins in the bible? What was the difference? The “quiet time” was the period that transformed “10 foolish virgins” into “5 wise and 5 foolish”.. the 5 “foolish-turn-wise” got oil in their “quiet time”. “The “quiet time” is when you graft, scheme, plan, meditate, self examine, train, practice, read, listen, learn, unlearn, relearn, pray, brood, think, dig deep, reflect and do things for you. The “quiet time” is a must for any one headed to greatness in any field. It’s your duty to be great! how can you be great? By valuable service to humanity in your craft!! 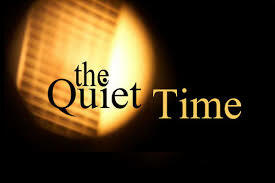 All I have said will be incomplete if I do not mention the need for a “quiet time” session to talk to God. Regardless of our religion, Christianity, Islam and others. I have found there is no peace or wisdom that is comparable to what you experience when you talk to God. The 4th month is about closing its curtains.. get your money right. get your character right. get your friendships and relationships right( with God also) and please get your life right!!! I am confident we will meet at the top. please forward to other people you wish to see at the top. Remains a pleasure partnering with you on the way to the top. Sent to me by my brother, so I edited and shared. I hope everyone is alright! Yes I know I make disappearing acts quite often, with my pitiful inconsistency in blogging. I apologise, but you do know, that when I do come back to my blog, I always have something very important to share. So recently, I started my masters degree in Media and Communications, and at an early stage I started brainstorming for my dissertation. What I learnt from The Presidential Elections. Fresh from the just concluded elections and the declaration of my candidate GMB as the winner, I have come up with some things I learnt during this elections. 1) JEGA HAS A NEW MEANING: If you wonder why Nigerians don’t have any chill, It’s because most of it is with JEGA. The calmness with which the INEC boss went about his duty was second to none. Interestingly, he was confronted by a former minister who was shouting into the Microphone and Threatened the flow of the proceedings, but the calmness with which he shut him up instantly became a hit. 2) NIGERIANS HAVE A SENSE OF HUMOUR: Regardless of the situation, Nigerians make fun of everything. There were memes flying around when results of some states were mentioned that did not really favor our intentions. It was never a dull moment. 4) GMB’S PERSONALITY IS KEY: Immediately after election results were clear in which direction it were going, the price of the dollar fell, Fayose reportedly set up a committee to beg, FFK became a gentle man again, Ayedee’s numbered tweets made sense for the first time, Bode George says he is running away and the likes, even Dokubo that was shouting he will blow pipelines quickly retracted his speech saying he is a friend to any government in power. Fear catch am. The personality of GMB as a no nonsense man breathes a new air into Nigeria and Nigerians. 5) CHANNELS TV IS OUT OF THEIR LEAGUE : I must commend the efforts and the non partisan nature of the Channels TV crew that handled the #NigeriaDecides series. Regardless of who or when, they all gave it a good go and you ( for all those who had light or fuel to watch) will all agree that they deserved a standing ovation. 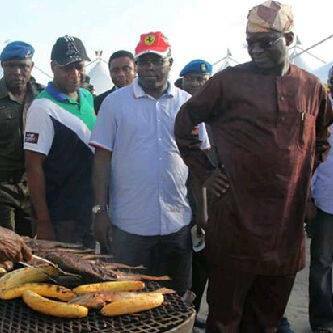 6) OBASANJO IS THE JOKER: I pray that Baba is still alive when I decide to be president. All I need to d is have him on my side, I am a winner. Ever since 1999, He has always been a winner. His team had never lost, and although he might not feature, his presence and support is a jinx that cannot be broken. 7) WE WILL MISS FAKA: Forget, we will miss the first lady more than the out-going president. She has provided us with more funny moments over the past four years than many of these so called comedians. DiarisGod ooo, Bornthroway, I will rather kill myself than commit suicide. More recently, she has been saying she doesn’t want to take food to her husband in prison. I doubt she will though, especially after his conduct. 8) FFK IS AN ASSET : I know many of you will say why this, but believe me, it is not easy to defend stupidity, act stupidly and stand by it. This guy defended stupidity and did so reasonably well. He knew how to answer questions and even though sometimes his answers might be stupid, he did so well. 9) DAVID MARK IS A KING: I don’t know how he does it, but Mark always loses elections at night and wins in the morning. This time however, he won’t be senate president. That position was always reserved for him but this time, sorry man. Hopefully, I can learn from his skills, they might come in handy someday soon. 10) FEAR NORTH: When the numbers from Kano came in at almost 2 million for the APC alone, I remembered that bible verse immediately. It was exciting as they belonged to my candidate, but then those numbers showed the power that they have got in terms of numbers. The Gap gotten from a local government for instance in Kano covered up for the Ekiti deficit. 11) LAGOS IS FOR ALL: Just in case you don’t know, Lagos now has an igbo woman, and an akwa ibom man representing her in the House of assembly. This speaks a whole lot about the diversity of the state as it shows her accommodating nature and the fact that if you are good, you will win. 12) #GEJOURHERO : For the first time, our outgoing president trends. Not because he has done something clueless as usual or paid people to do so, he actually did because he allowed the judgment of INEC to prevail and also because of his congratulatory message. He looks good when defeated though. I just hope he doesn’t finish our external reserves before he leaves. 13) FASHOLA IS THE REAL KING: Forget the fact that it was Buhari who won, I stated reasons in my Blogpost https://ruggedgentleman.wordpress.com/2015/03/26/why-apc-should-thank-brf/, on why BRF won this election because of his performances. Read through and see why. 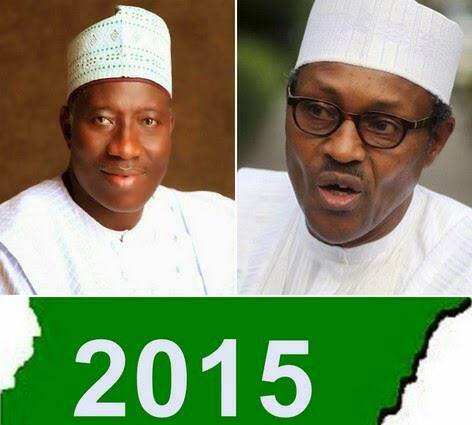 14) A NEW NIGERIA: Nigeria is the real winner of the elections. The winner because we believe that GMB will perform way better than GEJ has done and like he said at his Chatham house speech, we will not have to worry as much as we do now about Nigeria when elected. 15) TWO PARTIES: Only APC and PDP contested the elections. The rest were just spectators, who hardly campaigned and many of them were almost invinsible. People even suggested INEC announce just results of these 2 parties and ask others to come check their results later or get a scratch card. 16) I LOST WEIGHT: I , like many people who supported GMB did not sleep well. I have not had a decent meal since Friday morning, and it’s Wednesday already. The Easter break is coming at a perfect time for me. I will rest and hopefully get to have fun, before another elections come up. 17) MAKE UP FRIENDSHIPS : Immediately after results were decided, many people on opposite sides started coming back together. Enemies who had once been friends started making up for lost time. Even I had to force myself not to release my drafts for one of my friends. I thought, they lost anyways. No biggie. 18) BETWEEN KANO AND FANTA: There is something hidden between Kano people, the governor and Fanta. I do not know but I gave seen pictures of many people in Kano placing Fanta on a table as they wait for election results. Someone had to translate a quote from the governor in which he mentioned Fanta again. I will like to know what it is, so if you do, please share. What did you learn? Please share with us in the comment section. Have a great time. After the 2003 elections, it seemed that the ‘progressives’ as they called themselves of the South West region of Nigeria had lost it all to the deceits of OBJ. Just Lagos and Bola Tinubu was able to withstand the pressure of OBJ not to allow PDP and indeed, it’s a decision that Lagosians themselves have not regretted till date. He picked Fashola as his successor despite the fact that no one knew whom he was back then. Fashola went to the elections with Obanikoro and Jimi Agbaje and he won that very close election. Since then, there has been no looking back. He has developed Lagos in a way and manner that even Asiwaju’s administration is often looked back at in terms on years and not achievements when compared to Fashola’s. After the election, Fasola was the only member of the newly formed Action Congress to win their elections. Indeed, it was conceived then that the party was just a South West and Lagos party. Fasola performed credibly well, that during his second term bid, no one even took up a serious challenge against him. People from other states saw what Lagos had become an wanted same for their states. But that was not just it, other candidates from some states had seen a political party with a good structure and a better plan to develop the states. They all opted for the ACN during the next elections. In neighboring Ogun, Oyo , Osun ( which was declared winner by a tribunal), Ekiti even as far as Edo, it was all the same. The developments in these states when the APC took over took a quantum leap and formed the basis for many other states seeking alternatives to the PDP. The ACN then merged with another force from the North, the CPC and the APC was born. There would have been no APC today without the performance of BRF, and it is even so obvious the developments of Lagos that the President cannot hold some meetings without visiting Lagos. Indeed, a representative of the United states came in recently and opted for Lagos instead of Abuja because of some reasons best known to us. There is no sector that BRF has not developed in one way or another during his 8 year stint as governor. Indeed, many people now wished that there was a loop-hole where he can be allowed to serve another term. Eloquent in speech, articulate in points and much more in actions, there is no doubt that BRF has indeed performed more than credibly. I recently told someone, If Lagos was a country, and Nigeria is another one.. Lagos has performed more credibly than Nigeria in the last 8 years. If this country tackles electricity, waste management, security, and social welfare the ways BRF does, we will not be where we are today. He banned the use of Sirens, he does not pass dedicated bus lanes and even though he doesn’t drink agbo jedi like some other governor, his love for lagosians is still crystal clear by the sort of character he demonstrates. Imagine if the deadly Ebola virus came into Nigeria through another state, we will definitely not be here today. Nigeria will have been hit and will have more casualties than we had then. I have not come here to try painting him as a saint, neither am I saying he is perfect. He had a choice, he could have chosen to not perform and rig the elections like many of his other governors did during their first terms, but he didn’t. Truth is, this nation needs people like Fashola more than he needs us, after all, he has served as the best governor in this country for some time, it is in our collective interest to ensure that his legacies do not go to waste when he leaves office. If there happens to be a time where he runs for the office of the President, many people like me will not think twice before casting our votes for him( Except of course, he is competing against me of course, LOL). The APC as a whole should be grateful to this gentleman, who has more times than many demonstrated what true leadership and service should mean. #MEETTHEPRESIDENT…. The President to meet!!! So, after the events of last Sunday where the President of Nigeria GEJ, decided to meet with some ‘selected youths’, there have been numerous reactions. First was the fact that those youths obviously were selected, and not through an open invitation. Also, I noticed that most of the questions asked were either not relevant, or were just questions that were not supposed to be asked at such an occasion. You had a shot at asking the president a question and all you could think of was an issue with little or no relevance to the public good? Some asked how he sleeps and other asked his favorite color. Not one point about the Chibok girls, or the billions of Naira missing or the downward slope of the Naira, or even the dwindling economy. Well, I guess that’s why the event was for selected youths, and not all of us. I expected the people to at least, ask some questions that will affect me in many ways. But then, what do I know? In my own way, I have decided to do my own version of #MEETTHEPRESIDENT and although the man himself might not even get to see it, I am sure you those of us that will, will know the difference between a President and A President. The president who allowed terrorists take over part of our territory for months or The President who stopped The Maitasine riots within months of taking over. The president who says stealing is not corruption and uses yam and goat to explain corruption and serves as a shield for corrupt people or The President who has a transparent past, who emphasizes that corruption will be minimized during his administration. The president who uses religion and tribalism at every point in time to campaign or The president who ensured that the same law was used in all part of the country and also was not bias in his judgment. The president, who points fingers at the opposition for anything his administration does wrong or The President who has taken responsibility for his actions in the past and does not shy away from related questions. The President, who waited for 6 years, until elections to fight against terrorists or The President who ruled for less than 2 years and had one of the most peaceful times in the country. The President whose wife is seen as a nuisance all over and cannot but embarrass the public while she speaks or The President whose wife still campaigns based on issues and also of course seems trained and well groomed. 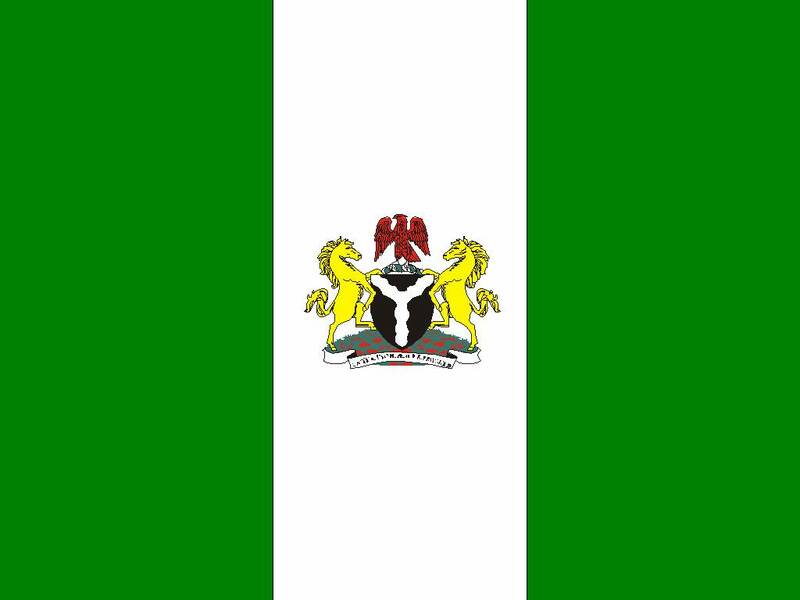 Ladies and Gentlemen, I know myself and I am sure that if each of us were asked to really #Meetthepresident , without any sentiments, and of course, without any financial rewards, and no avenue for Shoki dancing , just based on true patriotism and governance, of these choices, we know whom to meet willingly.